There are few reminders you need to heed if you have decided to start an online business, particularly the mobile applications development business. This will save you on costs. This will surely save you more when you hire an outsourced provider rather than establishing a team. This professional provider knows and understands your requirements. What you want as you start this kind of business is for your mobile applications development business to reach your target market. It is also faster and cheaper to establish your products to the customers compared to employing a new team and you all begin from the scratch. Developing mobile applications business can be tedious and the costs that it entails is stressful. Avoid compromising the core value of your mobile apps business by hiring newbies. For any business that you venture, it is your end-goal to make money, including those who venture in mobile applications development business. You want that your apps be offered to almost all of the mobile phone users to get optimum downloads and make good sales. But as you make your initial downloads and sales, your customers’ feedback may surprise you. The market is too unpredictable especially if you if you are just beginning. For practical reasons, have one application store first, especially when you have limited funds. It is not feasible to create several platforms and nobody wants it. It is good to create single platform, it can be iOS, Windows, or Android. Pick and develop the platform where your customers are. When you are successful with the initial platform, you can target to offer similar applications on different platforms. Most of the huge and successful companies started as small enterprises. They become successful because they were patient on making their goals and objectives realized. Before going into any business, including mobile applications as business, be sure you use SMART in setting up your objectives. They should be specific, measurable, attainable, relevant, and time bound. Avoid going on a full course by creating an application with all the features, particularly if you are unsure of your market. You will not know how it will go until your customers will begin using them. When you are still in stage where you are identifying your market demands, it is practical to utilise less resources. Develop a mobile app that provides the core value of your product first. That will attract customers to download and use your mobile apps. Later, when you are sure of your market and their requirements, then you can begin adding some new applications. Check and evaluate the customers’ feedback. They will help a lot in making your app store very successful. Knowing how to choose wisely the right mobile applications for your business is not enough to be successful in your endeavour. You also need to have adequate information about the platforms you will be using. Apple iOS may cost you $99 but you cannot expect too much from this platform. Its iOS Developer Centre has huge collection of tips, tools, debugging tests, and tips for developing mobile apps for any purpose that you may need. BlackBerry is a famous platform that promotes many methods to create apps, mobile website themes, and widgets. If you want to distribute BlackBerry’s applications, there is a fee for each ten apps you tender. However, BlackBerry provides special deals to reduce this fee. Android offers free software development kit which contains source code, developer’s tools, samples, and emulators. It also gives out instructional videos and technical instructions and articles on creating apps. You can develop apps for Android with the use of Java. They may require $25 developer registration fee which you will have to pay one time only. Windows platform is not that popular but the interface is simple to operate. It supports important documentation. It is ideal to know more about the mobile applications development before starting it as a business. It may look as feasible and easy lack of knowledge may also turn your table down. 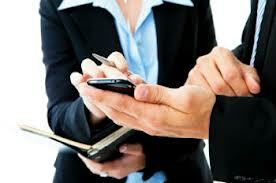 Contact us now and let us start discussing about your business goals and your needs for mobile applications business.